Did you know that Pinterest can be addictive? Yes, I am joking, kind of, since I don’t spend a ton of time on there. If I ever do starting browsing, I can be there for hours if I would let myself. This recipe is a Pinterest “find” from My Sweet Mission and it was a huge success. To me, Sundays are perfect for slow cooker main dishes and this made a great addition to my repertoire. I highly recommend it. 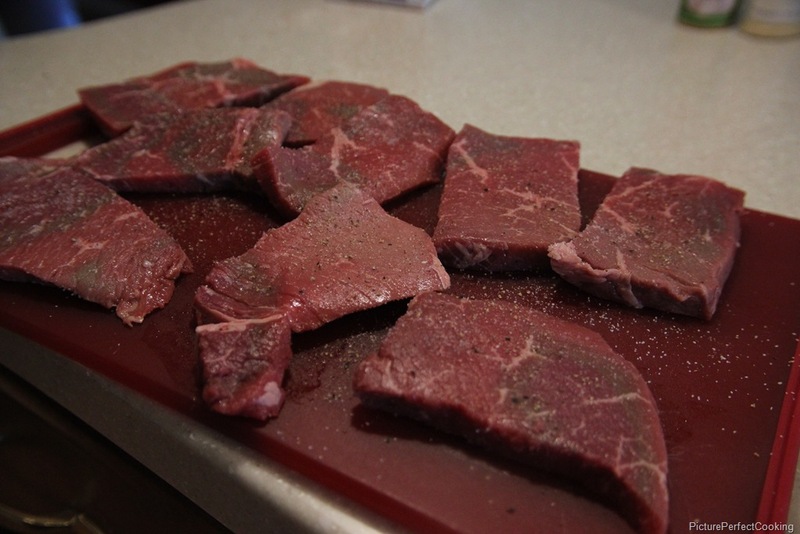 Sprinkle the steaks with salt and pepper. Heat a large skillet over medium high heat and add the olive oil. 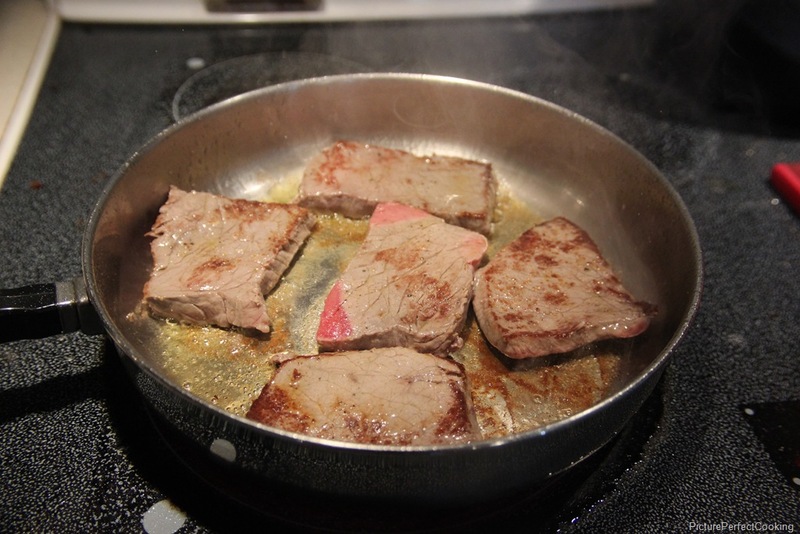 Add half of the steak pieces to the hot skillet and brown on each side. Place the first batch in your slow cooker and brown the last batch. Place those in the slow cooker after they are browned. 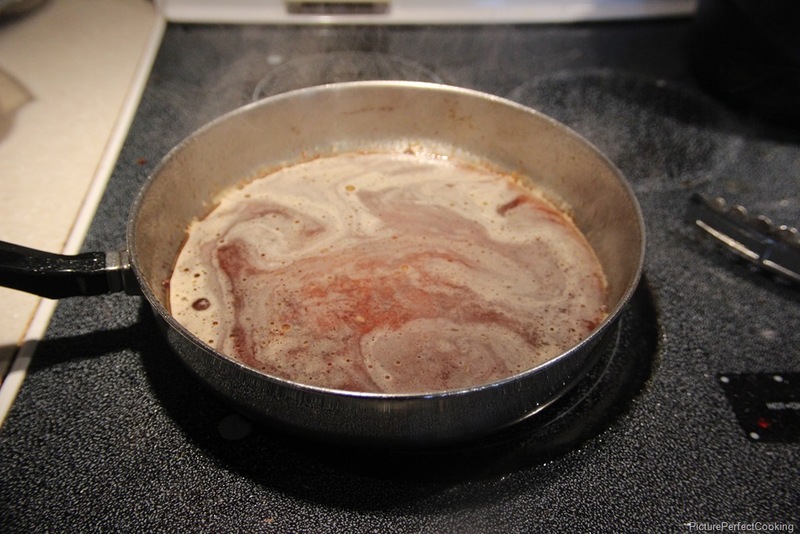 Pour 2 cups of the beef broth into the hot pan. Reduce heat to medium. 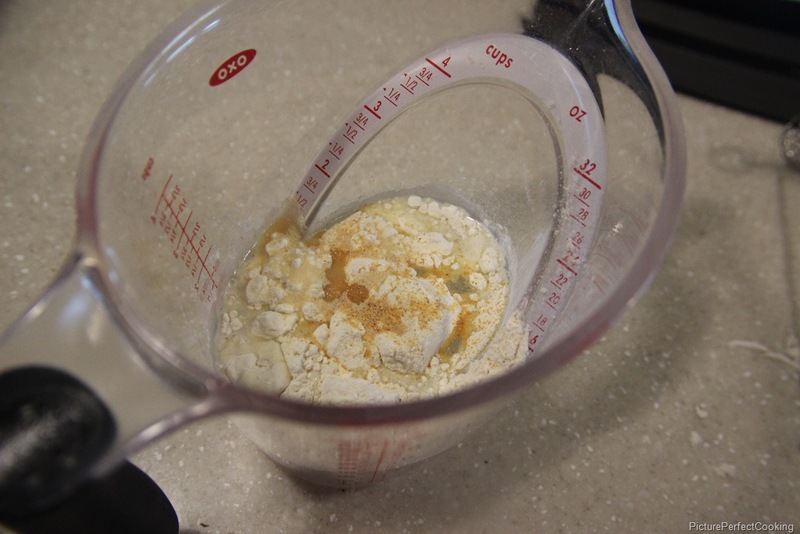 In a separate bowl, combine the remaining 1 cup of broth, flour, garlic powder, and onion powder. Whisk until the flour is dissolved. Add the flour mixture slowly to the hot pan. Stir constantly until the broth thickens into a gravy. Pour this over the steaks in the slow cooker. Cook on high for 4 hours or low for 6 to 8 hours. Steaks are done when fork tender. My dad would love this. I try to have them over for dinner a few times a month and I think this would be great. I’m pinning it for later. Thanks for sharing! Happy Saturday! I hope you and your dad enjoy the steaks. Thanks so much for stopping by and commenting. Have a great weekend! 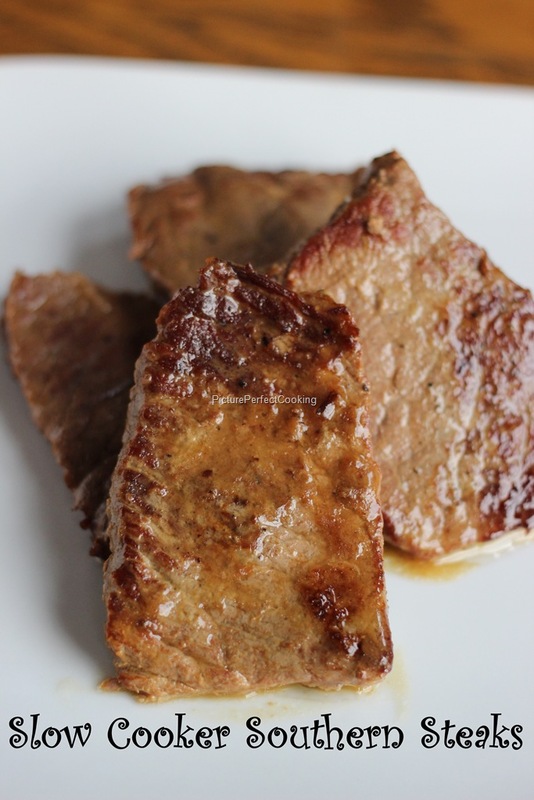 These steaks would be so tender you could cut them with a fork, they looks delicious! Hope you are having a great week and thanks so much for sharing with Full Plate Thursday. 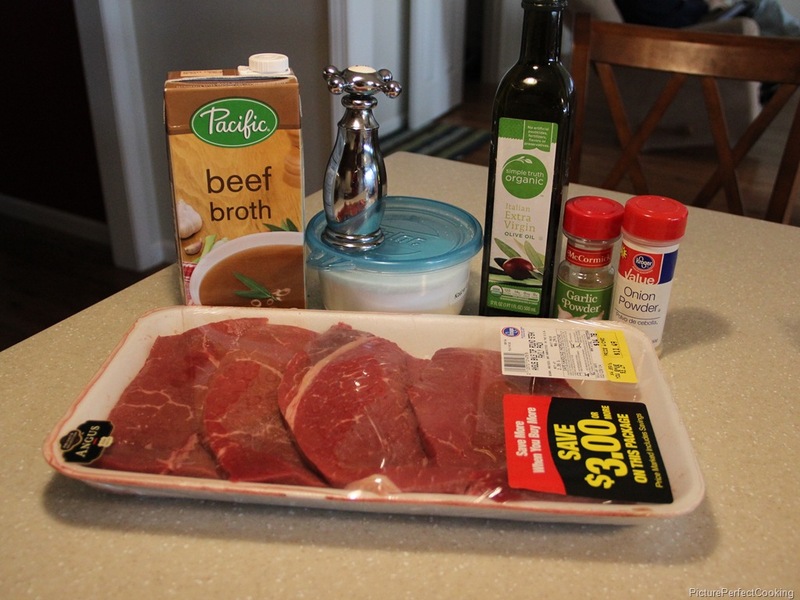 I love round steak and this sounds wonderful – it is making me hungry just looking at it! Thank you for sharing on the Four Seasons party.